What is written about in reviews of Cloverhost.net most often? Good guys. They helped us with our site. It's easy to work with them. The company is awesome, hosting is super! We've been working with them for a year and everything is absolutely great! They always help and give you advice. I would recommend. Wonderful hosting, excellent support, honest, helpful and doesn't try to push unneeded services, and high value for low cost. 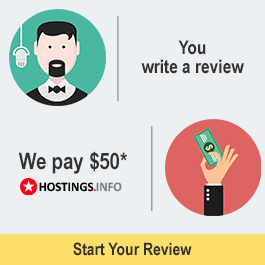 I have been using this hosting company for more than 5 years. I am completely satisfied and don't see any reasons to change. If there are any problems, then support solves them very quickly. We have been working with this company for more than 2 years. During this time we've never had any issues. They always listen and help when we need it. I've never seen such good support at any other hosting company! They are always available by phone, and by icq.